Flooding in western Iran led to the deaths of at least 90 people, according to an internal police report. 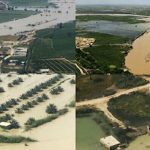 The deaths occurred in the city of Poldokhtar in Lorestan Province during the country’s most recent fatal flood. Poldokhtar is surrounded by the Karkheh River. The city flooded when heavy rains caused the river to swell, and the dams overflowed. Flood destroys a house as an innocent child asks, "Mom, where is our house?" Then says, "Mom, our house is destroyed." Kioumars Heydari, Commander of the regime’s Army’s Ground Forces, acknowledged that conditions in Poldokhtar were “horrific” in an interview with the IRGC affiliated Tasnim News Agency. “The bridges and roads have been completely blocked off and homes in villages have been engulfed by water up to their rooftops,” he added. Videos posted on social media show homes in Poldokhtar collapsing from the force of the rushing water. Heydari denied that anyone died in the catastrophic floods, though. On Tuesday, he told the ISNA News Agency that “there were no fatalities” reported in the floods, directly contradicting the internal report. Provinces in the west & southwest hit hardest by floods. Heydari also claimed that “the necessary equipment for relief aid to the people of Poldokhtar had been provided.” Heydari is responsible for providing emergency aid to the residents of Poldokhtar. This is despite local reports, which indicate that a number of people were stranded on their rooftops for a day without food, water, or assistance. Flood victims in other areas of Iran have been vocal in their criticism of regime officials’ response to the floods. Residents of flood-stricken areas say that they have received no emergency aid from the government and that what assistance they have received has come from the public. The Iranian regime frequently covers up the number of fatalities in disasters. This is largely due to the fact that the Iranian people fault the regime for its mismanagement of the country’s infrastructure and its destructive environmental policies, both of which worsen the effects of natural and manmade disasters. The disparities between the regime’s official reporting of the fatal floods and local and eyewitness reports are significant. Local reports, which are supported by numerous videos and eyewitness accounts, indicate that at least 150 people lost their lives during the March 25th floods at the Quran Gate in Shiraz. Regime officials claim that 19 people died in the deadly floods. Mrs. Maryam Rajavi, President-elect of the National Council of Resistance of Iran (NCRI) called for solidarity among the people of Iran in a statement last week. 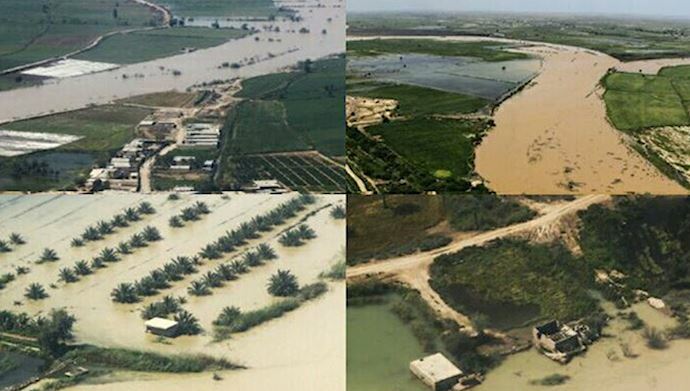 The regime has neglected and abandoned people affected by the flood, so Iranians, particularly the youth and the MEK’s Resistance Units, must organize councils and provide assistance to one another.